Zoho is becoming a company to watch! Sales and marketing – CRM, surveys, campaigns, social, email, docs, financial (bookkeeping), invoicing, expenses and inventory, also help desk and remote support plus an HR department if you need some new employees. A good list of business services in one place. I’m on touching the surfacing and trailing at Zoho Social. The interface is clean, prices are ok at $100 a year per brand (website). The interface show posts and their performance – basic details like reach and engagement. It does take the conversation on Facebook clearly and it allows analysis of individual activity too (such as seeing what people liked what post). This short trial is showing SumAll is still clearly the market leader in social analytics. Visit Zoho Social and see for yourself, the free account is completely functional. 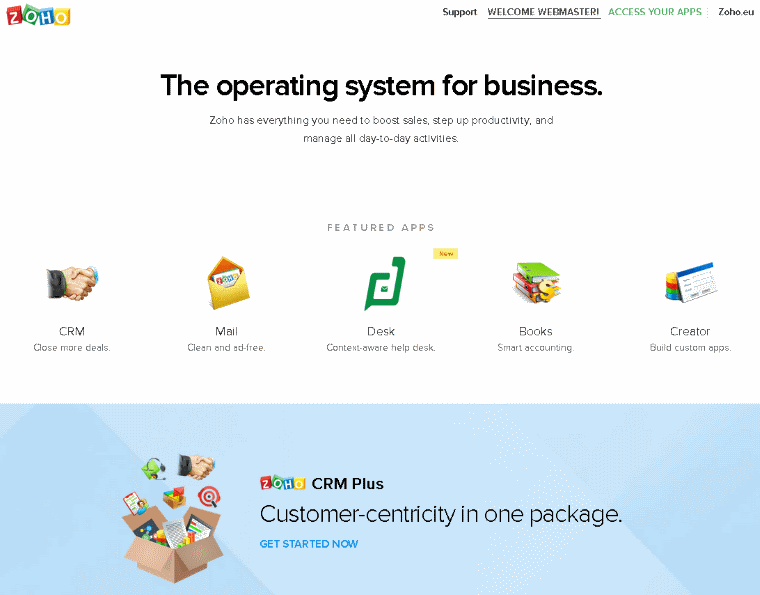 If you have used Zoho Social what are your thoughts? What about SumAll, good/bad experiences? Post a comment on my website or my social media accounts. Google and Facebook optimised 100% managed WordPress website hosting and website design.